The Youth Ministry program at Nativity Catholic Church is hosting its second annual March Mudness event; a mud run “looking to give back to the community,” said Justin Lantz, the youth program director for Nativity. The event takes place on Saturday, March 14 from 9 a.m. – 1 p.m. March Mudness was created last year as a way to raise money for the youth ministry program, specifically to benefit kids going to summer camps. The incentive was to create a fun family experience that everyone can enjoy. Many of the young adults that help run the youth program compete in the more challenging mud races like Tough Mudder. Most of these races, according to Lantz, aren’t designed for children or families to compete together. “There aren’t a lot of events like these that children can partake in. Most are designed for young adults. That’s something that we really wanted to bring to the community, a race that kids can do, as well as families,” said Lantz. 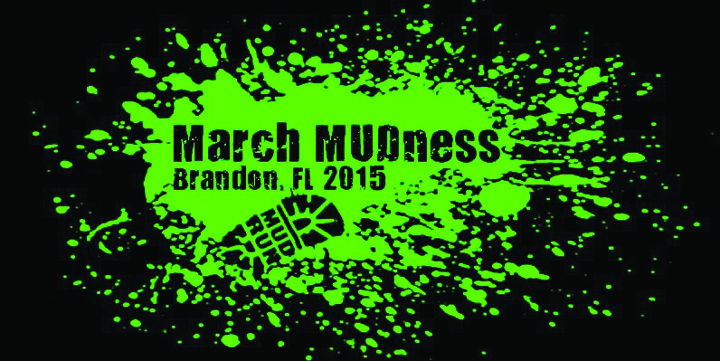 March Mudness will feature 23 obstacles this year. Some of the new intriguing obstacles this year include their tallest one yet, “Stairway to Heaven,” in which fans can go underneath and take photos of runners brave enough for the challenge. Also included in the race is a 3 ft. high track of freezing water to dash through. There is a children’s heat, as well as a competitive and adult heat. Participants must complete all obstacles to win something, some of which include up to $100 worth of prizes. For the team heat, they “have prizes for the craziest group, or loudest group,” said Lantz. Remember to arrive early at The Nativity Youth Center and Field, located at 705 E. Brandon Blvd., with a photo I.D. and a printed ticket. Tickets start at $35 the day of the event. Clothing should be expendable; it’s going to get muddy. A water station will be provided during the race, and photographers are welcome. Friends and family are also welcome to watch. Individuals and families interested in the challenge can register at www.eventbrite.com/e/march-mudness-2015-registration-12917232791. Get a $5 discount with the passcode: mudrununited. Each person that registers gets a medal, a shirt and a lot of mud.